Russian missile-armed naval and air units are now deployed in unprecedented numbers to engage those tempted to interfere with Syrian and Russian forces trying to clean out the terrorists from Idlib. We assume you have been briefed on that  at least to some extent. More important, we know that your advisers tend to be dangerously dismissive of Russian capabilities and intentions. We do not want you to be surprised when the Russians start firing their missiles. The prospect of direct Russian-US hostilities in Syria is at an all-time high. We are not sure you realize that. We hope that John Bolton has given you an accurate description of his acerbic talks with his Russian counterpart in Geneva a few weeks ago. In our view, it is a safe bet that the Kremlin is uncertain whether Bolton faithfully speaks in your stead, or speaks INSTEAD of you. The best way to assure Mr. Putin that you are in control of US policy toward Syria would be for you to seek an early opportunity to speak out publicly, spelling out your intentions. If you wish wider war, Bolton has put you on the right path. If you wish to cool things down, you may wish to consider what might be called a pre-emptive ceasefire. By that we mean a public commitment by the Presidents of the US and Russia to strengthen procedures to preclude an open clash between US and Russian armed forces. We believe that, in present circumstances, this kind of extraordinary step is now required to head off wider war. Sept 12, 2016: The limited ceasefire goes into effect; provisions include separating the moderate rebels from the others. Secretary John Kerry had earlier claimed that he had refined ways to accomplish the separation, but it did not happen; provisions also included safe access for relief for Aleppo. 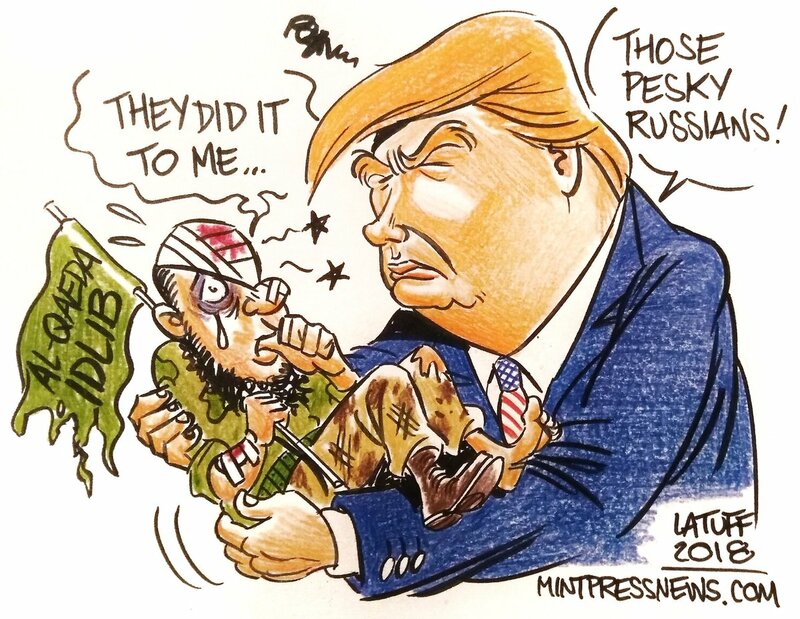 Sept 17, 2016: US Air Force bombs fixed Syrian Army positions killing between 64 and 84 Syrian army troops; about 100 others wounded  evidence enough to convince the Russians that the Pentagon was intent on scuttling meaningful cooperation with Russia. is under fierce criticism from the US military machine. Despite the fact that, as always, [they] made assurances that the US Commander in Chief, President Barack Obama, supported him in his contacts with Russia (he confirmed that during his meeting with President Vladimir Putin), apparently the military does not really listen to the Commander in Chief. Lavrov went beyond mere rhetoric. He also specifically criticized JCS Chairman Joseph Dunford for telling Congress that he opposed sharing intelligence with Russia, after the agreements concluded on direct orders of Russian President Vladimir Putin and US President Barack Obama stipulated that they would share intelligence. It is difficult to work with such partners. If it's really unavoidable, then why worry? Death is coming for us all anyway, so just sit back and enjoy the fireworks. Obama and Hillary have invested a lot of dough $$$$$$$$$$$$$$$$ in these Maverick Rebels, The Donald will protect them at all cost.